If you are just getting started this is the place for you! Ask any questions and learn about the industry. 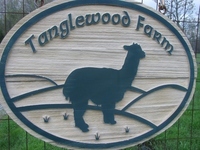 I am new to the alpaca industry and getting ready to build my barn. Any suggestions on the best flooring to put in the barn? We have just cement. Well actually, half of the barn is cement and the other is gravel/sand. Our larger pens, which house most of our alpacas, are on the cement. We have one smaller pen where our 'macho man' is and this pen is on the gravel/sand. In the cement, we have grate marks in it that gradually slope towards the doors (this allows the urine and spilled water to head outside). The cement makes any type of clean up a breeze. In the cold months, we do a pack/deep bedding of hay and straw. We use granite "dust" and crushed limestone in our dry lots and in our stalls. Inside the barn stalls we top the crushed rock with stall mats. The rock helps with drainage and keeping the pacas nails short. In our wet winters --- having the pacas on rock dry lots helps to reduce parasite issues as well. Best of luck building your barn! CONCRETE WORKS GOOD IN AREAS YOU WORK ON AND CAN CLEAN EASILY ...SAND HAVE BEEN PROVEN BY THE UNIVERSITY OF WISCONSIN, RIVER FALLS TO BE THE BEST BEDDING FOR LIVESTOCK/ALPACAS. 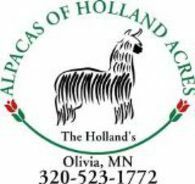 THE HEALTHIEST ALPACAS ARE KEPT OUT OF THE BARN , WITH LOTS OF PASTURE TO RUN, WALK, PLAY, SUNLIGHT, RAIN IS GOOD ON THEM, BEFORE THEY ROLL IN THEIR DUST BATH SHALLOWS......WHEN THEY STAY IN THE BARN THEY POOP/PEE/WALK ON IT/LAY BY IT/ OR EVEN RIGHT IN IT ......... THAT'S WHERE BUGS/PARASITE PROBLEMS INVEST THE WORST ON THEM... KICK EM OUTSIDE WITH PLENTY OF FOOD, WATER AND MINERALS.. I have crushed run with limestone sand on top. It is easy to clean, but needs to be replaced occasionally, as depressions occur where they have pooped and peed. In cleaning, some of the limestone sand is always picked up with the poop. I keep a pile of the limestone sand handy nearby for just that reason. The alpacas, by the way, love getting on top of the pile, so I am constructing some small 'hills' for them in the pastures so that they can get on top. I planted a tree when I first started, on top of a small hill that was made from the soil the builder of my barn removed, and it is now a nice shade giving tree. The pacas love to go up to the trunk and then roll down the hill. It is hilarious to watch them do that.